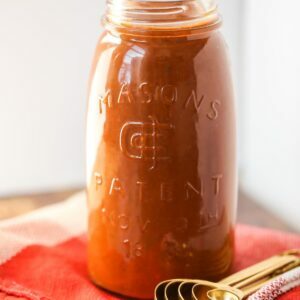 Homemade Red Enchilada Sauce – this restaurant-style enchilada sauce is simple and perfect to use for enchiladas, empanadas and even casseroles. You’ll never buy canned enchilada sauce again. 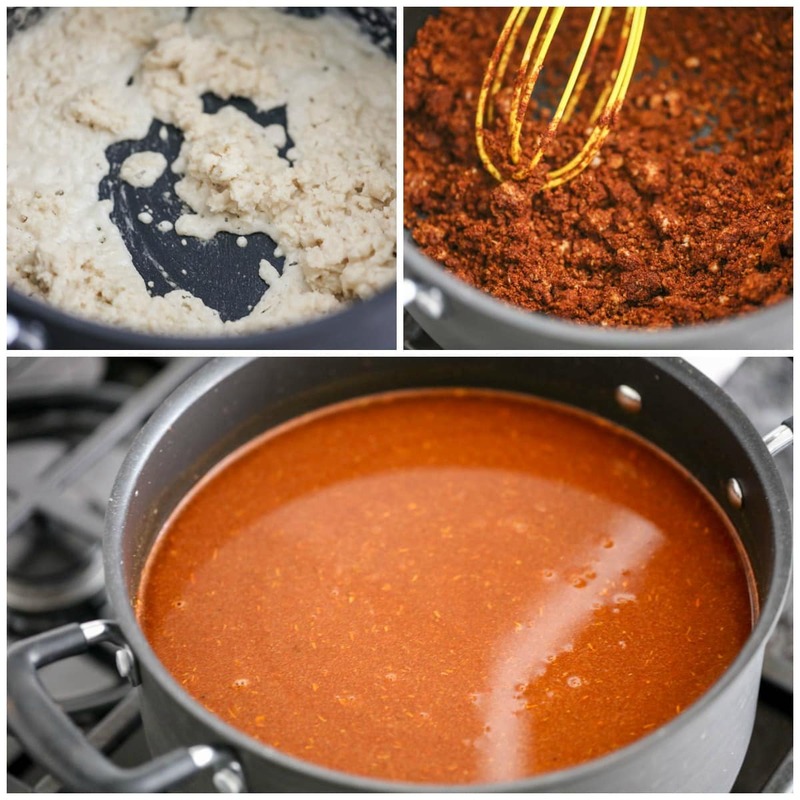 Have you ever made or had homemade enchilada sauce? It seems like it might be a hard thing to do, but the recipe we are sharing today is simple and a family favorite. We use it for our Red Cheese Enchiladas and Beef Empanadas, and it’s phenomenal. Yes, you can buy red enchilada sauce in the can, but it doesn’t compare to this homemade version. 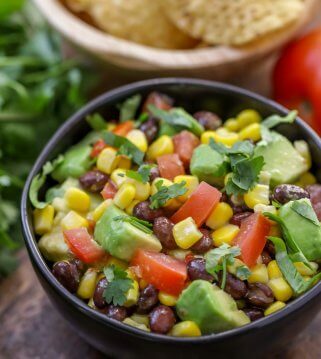 It takes just a few ingredients (ones we typically have on hand), and is made in under 20 minutes. The sauce is made by adding oil to a pot and heating on medium heat. Pour in flour and create a roux by whisking together for 1-2 minutes. Add chili powder, garlic powder, salt cumin and oregano and mix until clumpy. Pour in chicken broth, whisking the entire time and until there are no more clumps. Heat for about 15 minutes or until sauce is thickened. 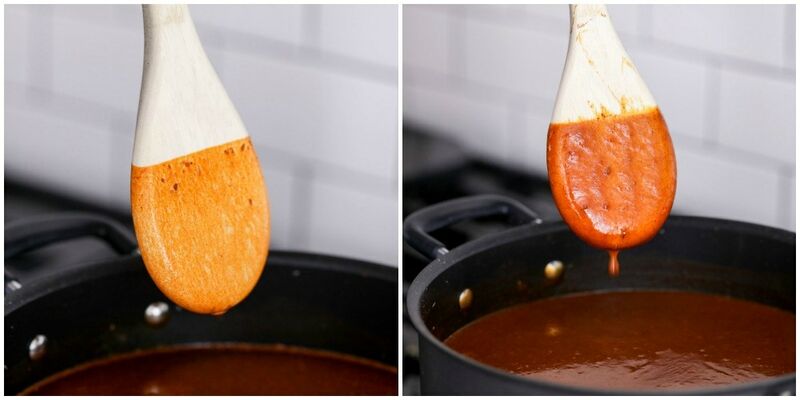 TIP: You know the sauce is thick enough when it coats the back of a wooden spoon well. If you see the picture below on the left, you can see that the sauce looks watery and doesn’t stick to the spoon. The picture on the right shows that the sauce is thick and sticks to the back of the wooden spoon showing that it’s ready. Can you make enchilada sauce ahead of time? Then, when I’m making enchiladas, I’ll spoon out 3 heaping tablespoons of the mixture which is equivalent to about one batch. Makes for easy cooking. 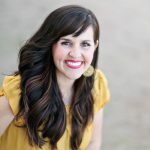 Can you freeze enchilada sauce? The other thing I will do is quadruple the entire sauce recipe and then store the leftovers in a freezer-safe container in the freezer (which can last for up to 2 months). Then, when I’m ready to make enchiladas I typically take out the sauce the day before and let it thaw overnight in the fridge. I think heat it up on the stove until it is smooth. If it’s too thick, you can add a little more chicken broth to thin it out. We sure love this sauce and hope you like it too! 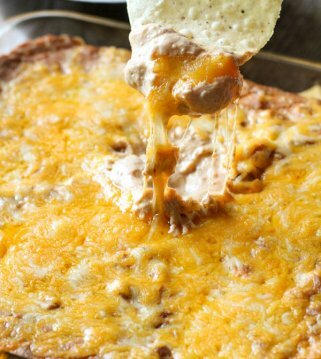 It’s definitely become a favorite and one we use for all of our cheese enchiladas. 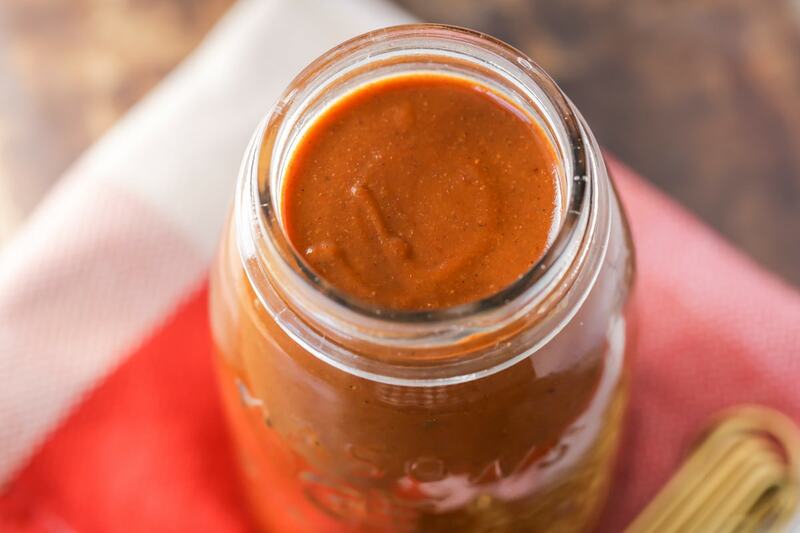 Homemade Red Enchilada Sauce - this restaurant-style enchilada sauce is simple and perfect to use for enchiladas, empanadas and even casseroles. You'll never buy canned enchilada sauce again. Add oil to a pot and heat on medium heat. Pour in flour and create a roux by whisking together for 1-2 minutes. Add chili powder, garlic powder, salt cumin and oregano and mix until clumpy. Pour in chicken broth, whisking the entire time and until there are no more clumps. Heat for about 15 minutes or until sauce is thickened. TIP: You know the sauce is thick enough when it coats the back of a wooden spoon well. If you see the picture below on the left, you can see that the sauce looks watery and doesn't stick to the spoon. The picture on the right shows that the sauce is thick and sticks to the back of the wooden spoon showing that it's ready. I haven’t watched the video, but I don’t see the measurements for the oil or flour in the recipe. please post the oil and flour measurements. really excited to try! It is 2 tablespoons of oil & 4 tablespoons of flour 🙂 Hope you like it! 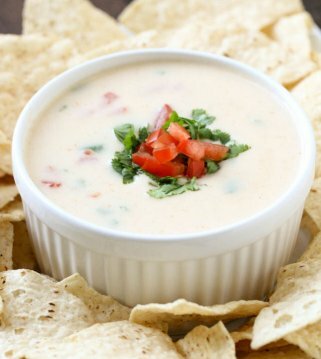 It is a cheese blend of usually, Monterey Jack, Cheddar, A Queso blend. This sauce is amazing! 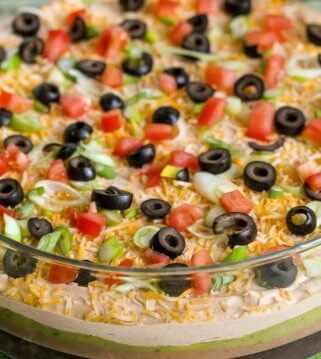 it is perfect for enchiladas! It is so easy to make & love that I can store it, to use for other recipes. Our favorite red chili sauce! 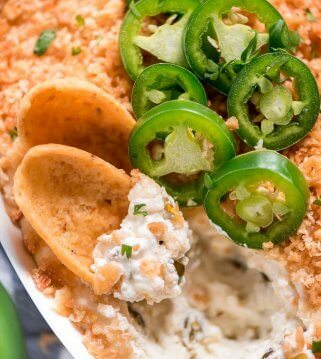 Easy to make and comes together quickly. I love to make this in a big batch so I can use in other recipes. Such a great sauce to have on hand. This is the saMe sauce recipe my hispanic grandma uses! 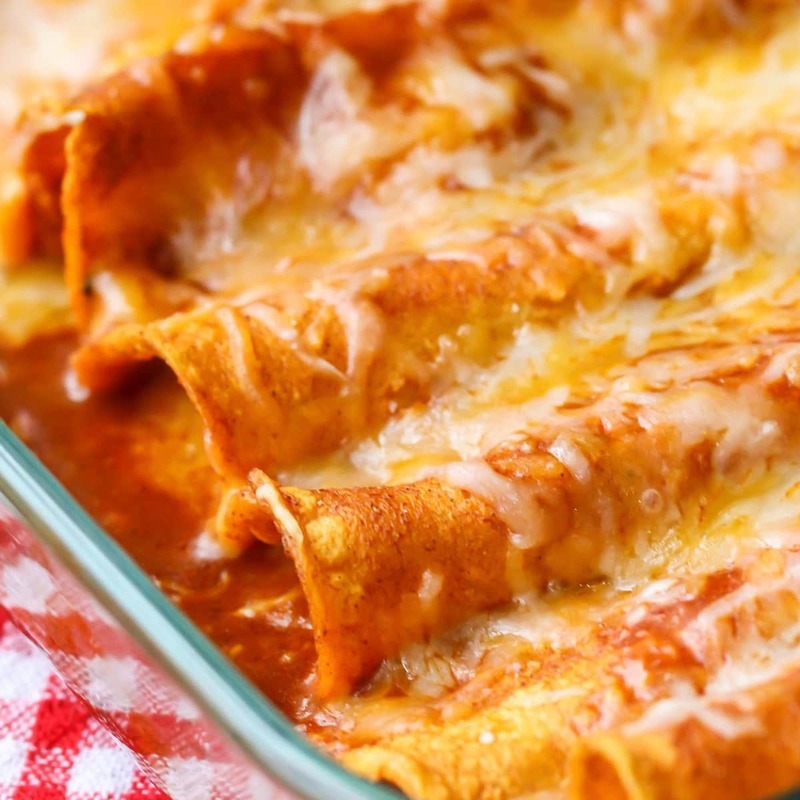 It is perfect for anY recipe calLing for red enChilada sauCe. So good! this looks so good. I know what is going to be on my menu next week! 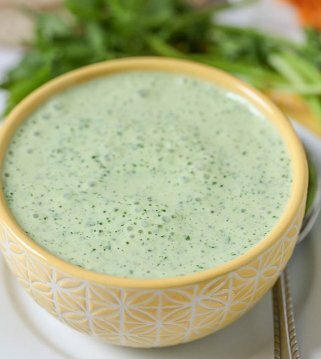 i prefer homemade sauces so thanks so much for this new recipe! Hello, recently made your basic bread recipe, first time using yeast and it turned out phenomenal!! 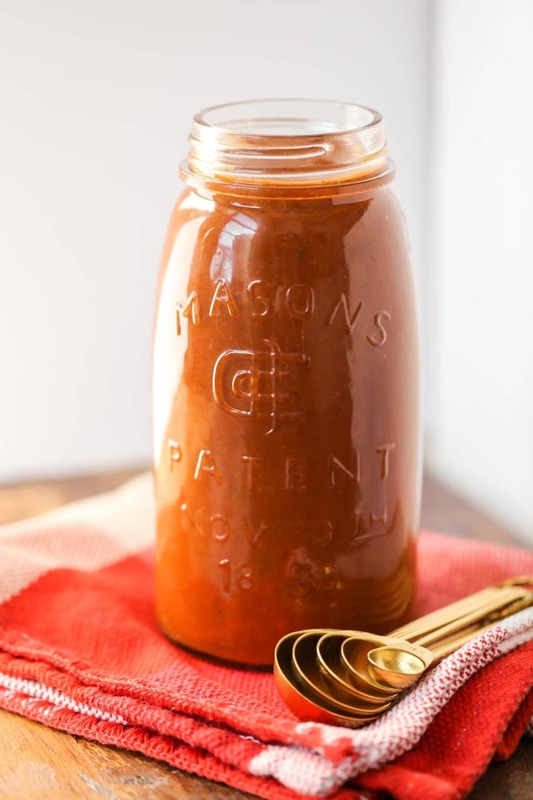 My husband and i ate way more than 2 people should HAVE….Anyways, I’M looking through your other recipes and have stumbled on this sauce. Curious HOW long it lasts? If i make the sauce and am not using it IMMEDIATELY. Can i store it in the fridge for a bit? Thank you for your help! Yay!! Thank you so much for trying the bread! Yes, you sure could. I would keep it a week or so. Wonder sauce!!! I live alone, so I pour sauce into ice cube trays, freeze, then ziplock the cubes for meals. I was us a very good sauce from AllrecipEs, but Yours is even bettEr. I still do enchladas the old fashioned way, fry the tortillas lightly, dip, & roll. My kids do the prep still, but they stack into a casserole style. Thanks for posting!! Blessings!!! That sounds perfect!! I will have to try that! Thank you! I have to be gluten free. I use potatoe starch instead of flour. Should I use that here or corn meal? I haven’t tried either, so I would use whatever you usually use to substitute. I wouldn’t know how they each make it turn out.